Welcome to Part 3 of my blog series about game development. 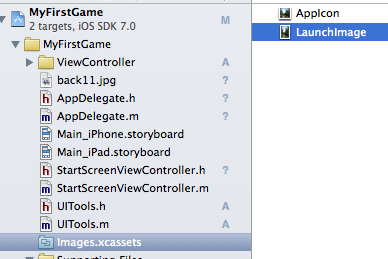 You have to add to entries in the plist file: "Supporting Files/MyFirstGame-Info.plist"
Why an Asset Catalog? 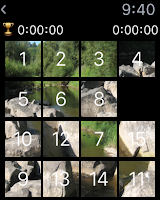 That's easy: If you compile you App for iOS 7, the images are stored in a binary. The advantage of this approach is a faster application start and also a smaller IPA file size which speeds up the download of your App. It is also much easier to manage your images. 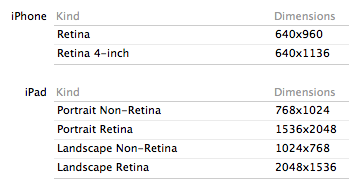 You must no longer follow strange naming conventions like "image@2.png" for retina and "image.png" for non retina devices or even more confusing "Default-568h@2x.png" for iPhone 5 and "Default@2x.png" for iPhone 4(s) splash screen. 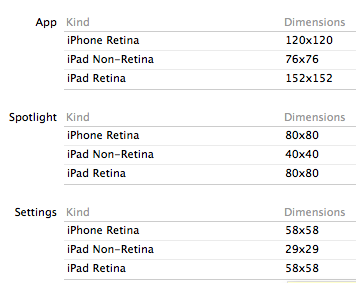 If we limit our App to iOS 7 capable devices we need 15 different images sizes. 9 for the App Icon and 6 for SplashScreens. That sounds much, but comparing to Android devices with much more different screen resolutions, this is incredible easy. Go to the project settings and select "Don't use Asset Catalog" in the launch images section. Now we can add the launch images the traditional way. I'll still use the asset catalog for the app icons and other images.